[Scott] shot us a tip about some progress on hacking those creepy [Elvis] heads produced by Wowee. 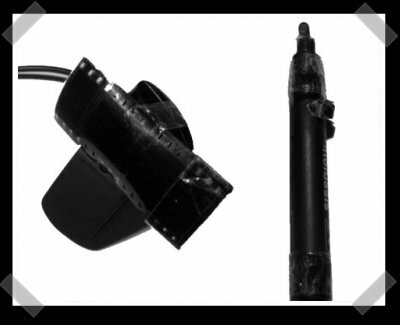 The head uses a flash cartridge to store all the data used for the motion/audio control. The cartridge uses NAND flash, so a quick solder job to an XD flash card reader yielded a useful dump of the memory cartridge – which happened to be fat32 formatted. There’s still plenty of work to do, but it seems that it’ll be trivial to replace the data with custom audio and motion commands. [Aki] sent in his collection of projects. 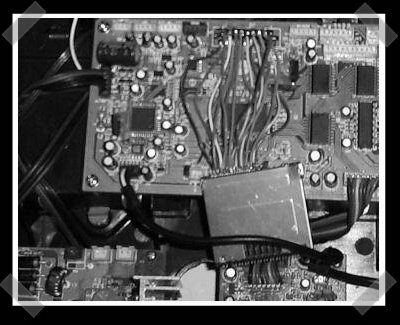 We like his bullet shell cased USB flash drive and his take on our friend, the simple parallel port based logic analyzer. 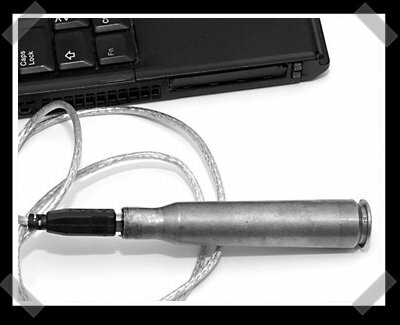 The flash drive uses a B style USB connector, mounted inside a big freakin’ bullet shell. The logic analyzer is the classic version, but uses a rather nice unix compatible piece of software that supports up to 1mhz sampling rates. 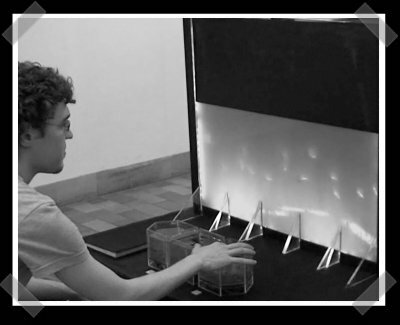 [Nicolas] sent in his liquid display project.Think of it as the opposite of a fountain display. Instead of water, it releases bubbles into a flat panel filled with liquid. There aren’t many details on the site, but it’s a nice twist on an classic concept. He also created an odd sort of liquid interface. Touching the liquid in any of the three chambers in front causes changes in the reaction of the display. 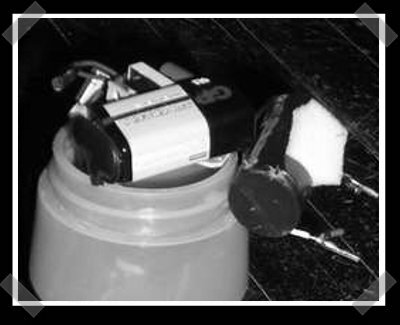 [Eduard] sent in his IR webcam whiteboard project. He wanted something like the Wiimote version, but without the expense of a Wiimote. He added some film negative to the camera to reduce the amount of visible light picked up by the CCD. (He notes that you might need to pull the IR filter from your camera to get a decent signal.) The pen is the usual IR LED with a power supply. To do the actual work, he wrote a custom application in Java. Check out this add on for that cheap USB missile launcher we know you bought last year. It uses ultrasonic sensors to provide sonar feedback for the aiming system. A PIC 18F455 drives a servo to aim the sensor and massage the signal from the sensor. It still depends on a PC application to put everything together. 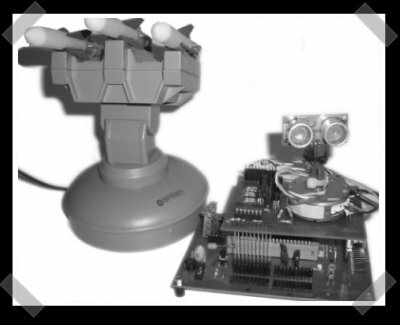 If you’d rather play with faster hardware, keep your eyes open for this years defcon bots contest. [liseman] decided to build a honeypot for bicycle thieves. He mounted a pay as you go cell phone and a gutted stun gun inside a water bottle. When the phone is dialed, the stun gun is activated thanks to a tap on the vibration motor inside the phone. He also installed some tracking software on the phone so the bike can be traced when stolen. [Che-Wei Wang] has a few more projects up his sleeve aside from his pneumatic power suit. 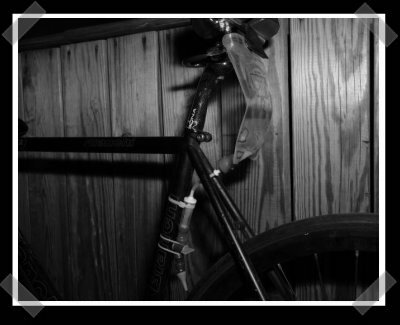 This is a bit artsy, but he created an ultraviolet ink dropper to leave a trail of invisible ink wherever he rides his bike. Just think of it as a modernized version of [MacGyver]’s paint can under the bad guys car tracking system.